Julia McKenzie is Head of Radio Comedy for BBC Studios. 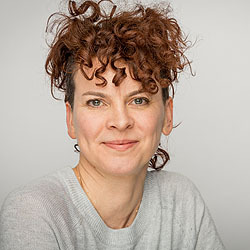 She oversees a team of producers who work with a range of talent on shows that include Stand up, sketch, satire and panel as well as sitcoms and comedy drama for Radio 4, 2 and some commercial outlets. Her recent production credits for Radio 4 include 8 Comedy plays for Radio 4 The Penny Dreadfuls Present: written by David Reed and sitcoms The Wilsons Save The World written by Marcus Brigstocke and Sarah Morgan and Quiz Nite written by Steve Punt and Hugh Dennis.